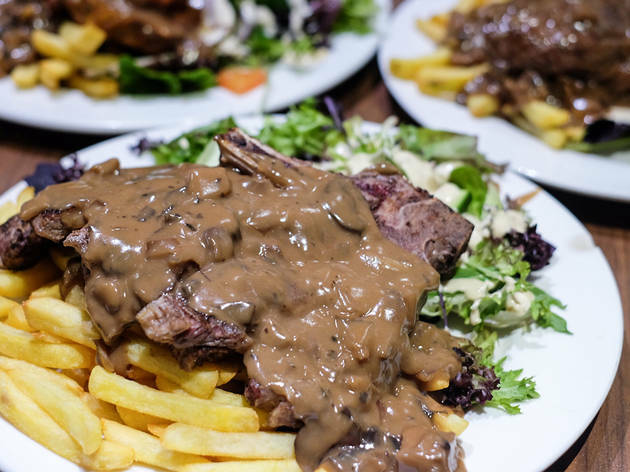 Feed your face for just $12.80 at this pub bistro chain (also in Concord and Cabramatta) loved by locals for its massive meals. There are nine choices on the value menu including lamb chops, rump steak and deep-fried pork chops that taste deliciously of curry powder. 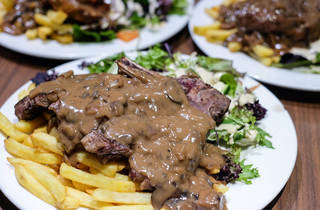 Our pick is the T-bone steak, served on a mountain of chips with a heap of salad. Often you’ll score two steaks on your plate, and yep, sauce is included too. You could easily share a meal between two. Otherwise watch and learn from the table next to you and BYO lunch box for leftovers.